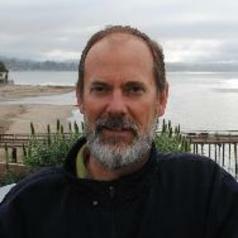 Dr. Charles Lester has been working in the field of coastal management for more than 25 years. He is currently researching and writing about sea level rise, coastal resilience, and other aspects of California coastal law and policy. Charles previously worked for the California Coastal Commission, including serving as the fourth executive director of the agency from 2011 to 2016. He also served as the Commission’s senior deputy director, a district director and manager in the agency’s Santa Cruz office, a coastal program analyst, and a student intern during graduate school. Before moving to Santa Cruz, Charles was an assistant professor of political science at the University of Colorado, Boulder, where he taught environmental law and policy, with a focus on public lands governance and coastal zone management. He also worked with NOAA’s General Counsel for Ocean Services. Charles received his J.D. and his Ph.D. in Jurisprudence and Social Policy from the University of California at Berkeley. His doctoral thesis examined the politics, policy and law of offshore oil development in the United States. He earned his B.A. in Geochemistry in 1984 from Columbia University in New York City, and worked his college summers at the Lamont-Doherty Geological Observatory. Charles lives near Santa Cruz with his wife, daughter, two dogs and two cats.